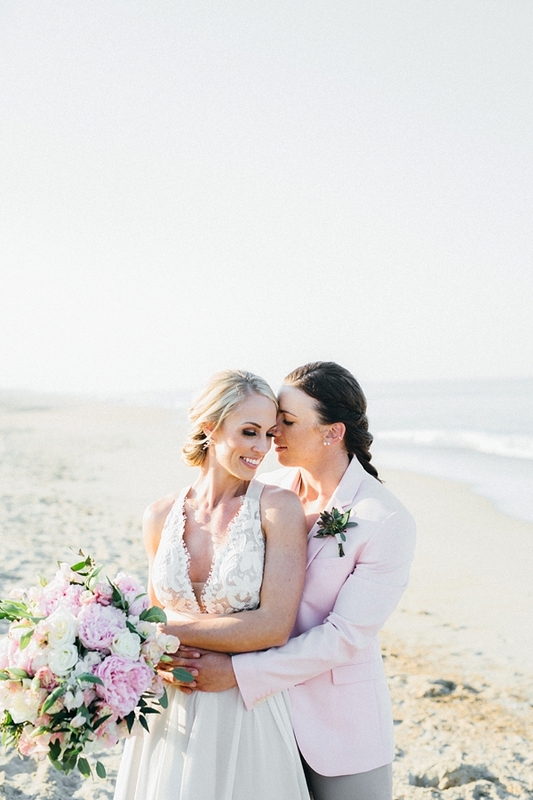 At the start of Milena's professional golf career, Florida became the catalyst for a sunny love story between her and Amanda. 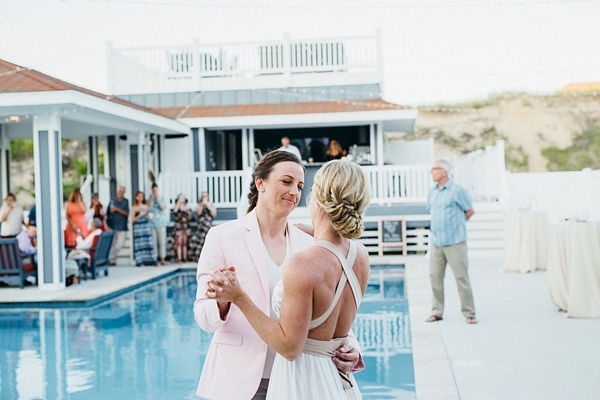 Lengthy phone calls turned into meeting in person, and an airport surprise transformed their relationship into something truly special. 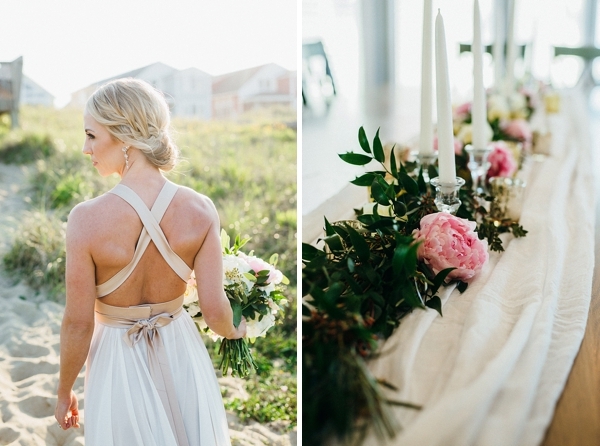 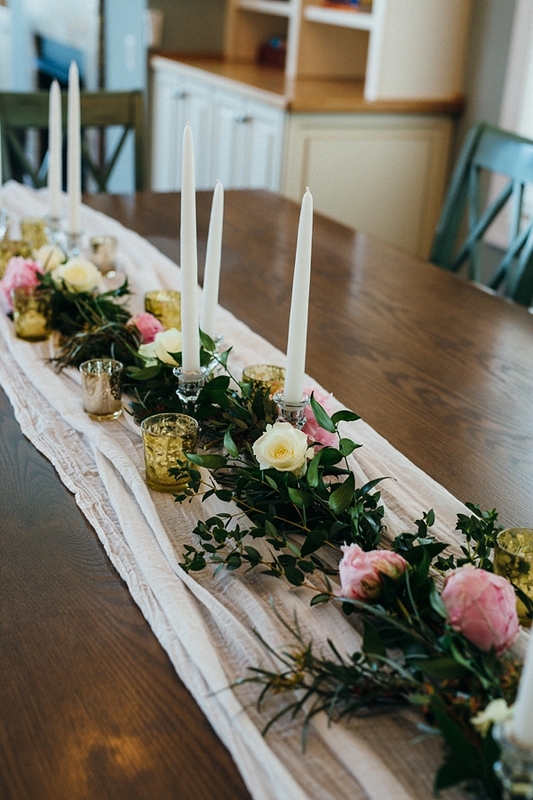 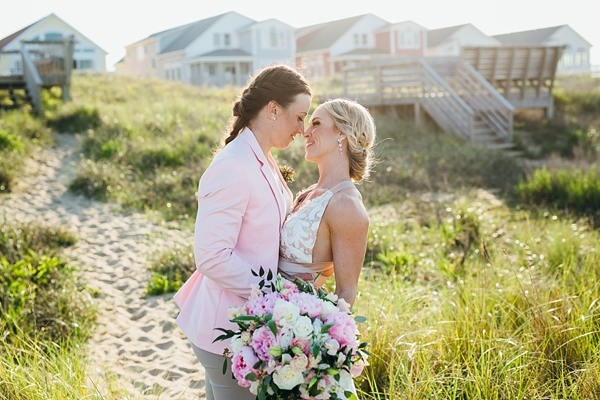 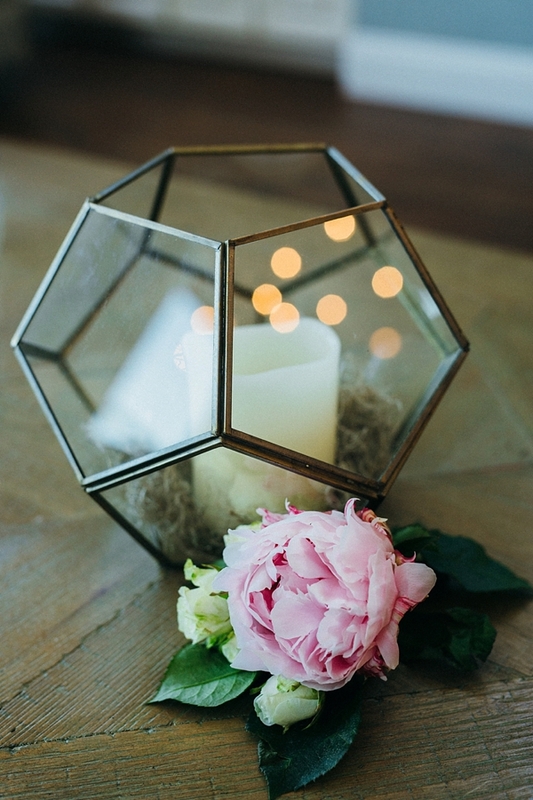 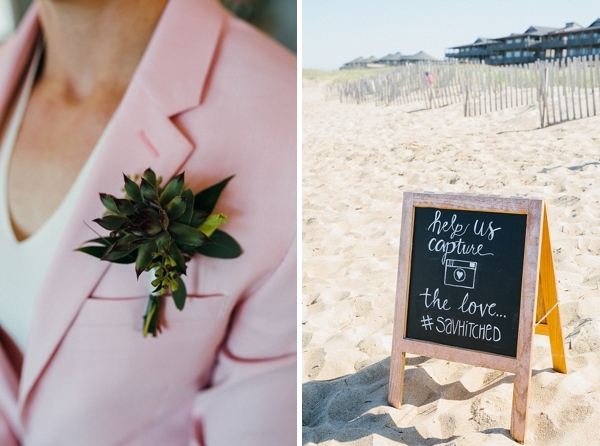 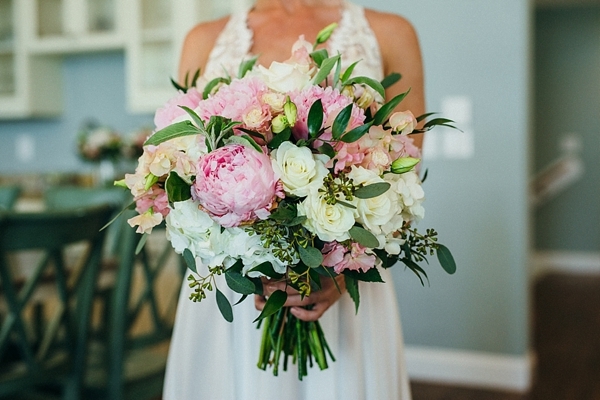 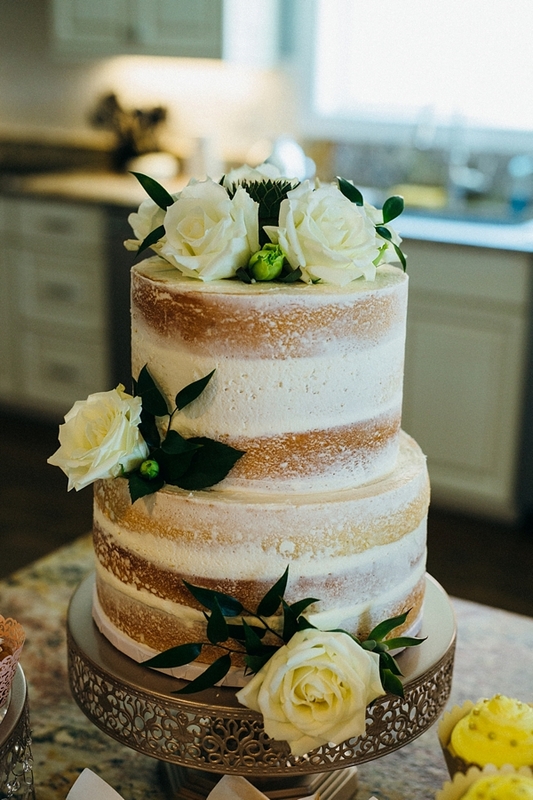 Inspired by fond vacation memories in the Outer Banks and the memory of togetherness, when it was time to tie the knot, Amanda and Milena envisioned a pink-filled intimate celebration with the Atlantic Ocean as their backdrop. 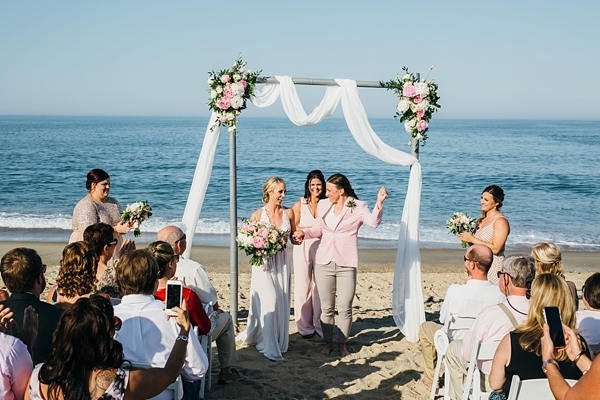 They didn't really know what they wanted until Amanda started sharing her favorite beach days with their creative wedding team. 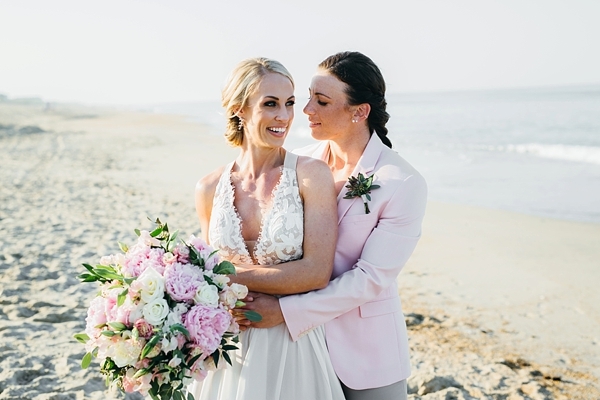 An oceanfront ceremony with a poolside reception captured all things wonderful about this destination wedding inspired by travel, and it was made perfection by fluffy pink peonies, the bridesmaids' rose gold sequins, geometric glass vases, and Milena's blush blazer that we get to see through Sarah D'Ambra Photography's images. 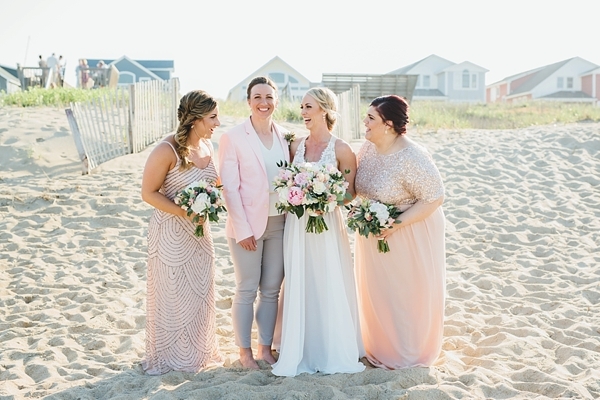 We absolutely love how complementary the brides' wardrobes were with each other and their beachy theme, especially with the best accessories ever -- bright smiles beaming with happy!